Dresser with six drawers. 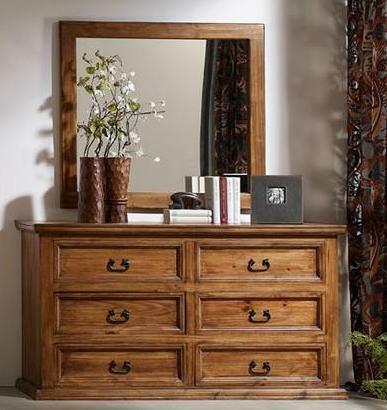 Warm smooth texture, solid pine, beautiful simple design. Features rounded rustic drawer-pulls / handles. Please note: Mirror / mirror frame not included. A dark, intense, opaque stain that carries a 30% premium.